‘We’re not going back to normal.’ They rode out Hurricane Michael, but were left without homes. | Insurance Litigation Group, P.A. ‘We’re not going back to normal.’ They rode out Hurricane Michael, but were left without homes. 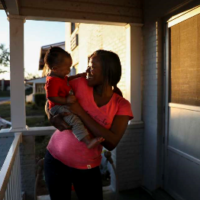 When Hurricane Michael tore through Panama City in October, it drove out the residents of Massalina Memorial Homes, a public housing complex on the city’s hard-hit east side. Since then, basic necessities like power have been restored, grocery stores and restaurants have been reopened since the storm and the supply of water seems infinite. However, the crisis of sheltering has emerged. Shelter is in short supply due to the mass destructions of buildings in Bay County. Most of Panama City’s homes were destroyed. The county property appraiser put the damage at $1.3 billion and counting. As of mid-December, the Federal Emergency Management Agency had given about $28 million in housing repairs grants, approved roughly 14,000 homeowners and renters for rental assistance and accommodated 600 families to stay in hotels. With all of these incentives, residents still don’t feel that things are moving at the pace they should be. Natives feel forgotten watching the country move on without them when things haven’t been normal for them for quite some time. To read the full article, please visit Tampa Bay Times. If you have experienced an insurance loss from #HurricaneClaim, don’t be surprised if the insurance company’s first reaction is to claim that your damage is due to some pre-existing condition or assert that your claim is not covered under the terms of your policy or even cancel your policy based on recently-discovered “errors” in your application. But don’t worry.